We certainly hope none of the below happens at your gym, but in case you do experience one of the unfortunate incidents below, here are some tips to be prepared. When credit card processing is down, unfortunately there is nothing RGP can do to troubleshoot. Have paper waivers available, just in case. Have an alternate network connection available such as an iPhone with a WiFi hotspot. Support activation key/online group key (generated by RGP and given to you when you signed up for support). Your MySQL root password (and username if you changed it) created at the same time as the Master Encryption key. Be sure to retrieve these codes from RGP Support BEFORE a disaster strikes! If you’ve misplaced these codes, contact us and we’ll be happy to send them to you. Turn one of your RGP workstations at the front counter, or in the office, into a temporary server until you can get a new server computer. 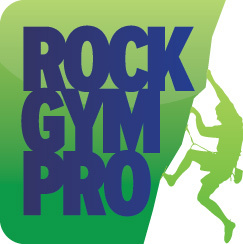 See https://www.rockgympro.com/support/emergency-troubleshooting/ for steps on restoring an offsite backup to a new computer. We cannot guarantee after hours or weekend support. Close to all of our after hours or weekend incidents are basic IT or networking problems at the facility. There are very few instances when the issue stems from the RGP software. We are more than happy to provide support for the RGP software. Unfortunately we are unable to troubleshoot issues with your hardware, network or other non-RGP related IT issues. Be sure that your staff can contact someone who can assist with IT related problems in case of an emergency.